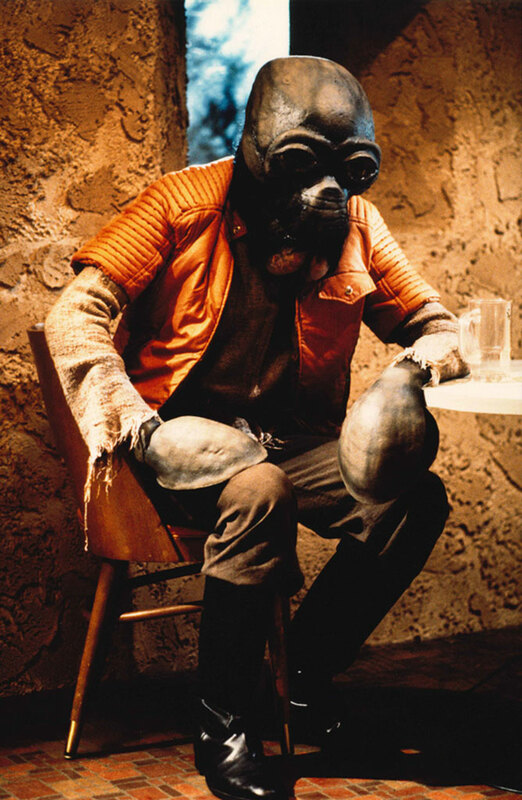 Description: For an Aqualish, this guy is pretty amiable. 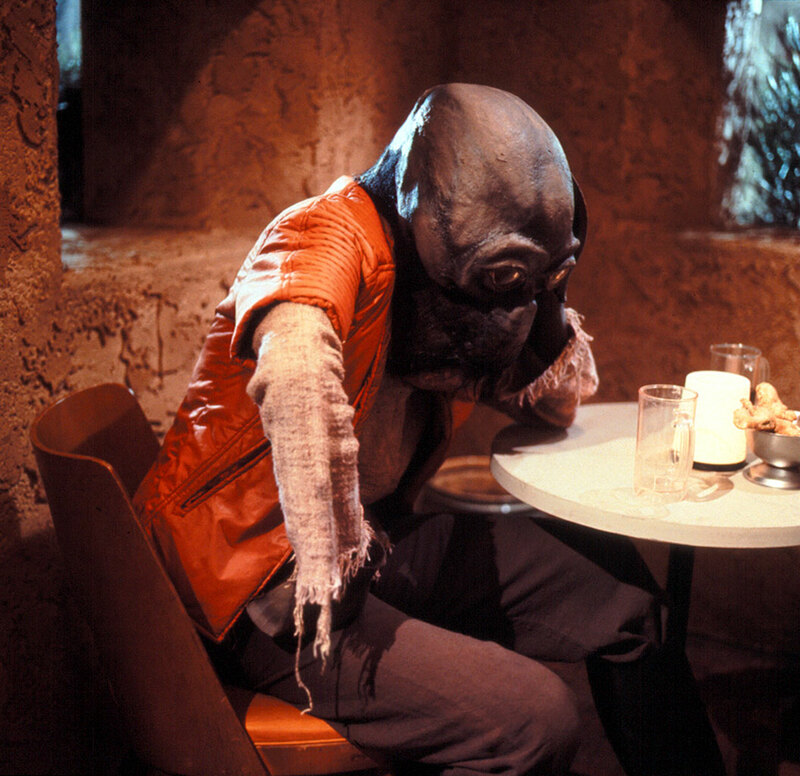 He has even been seen dancing with Ackmena in the cantina at the end of the night in a fit of inebriated joy on the way out the door. 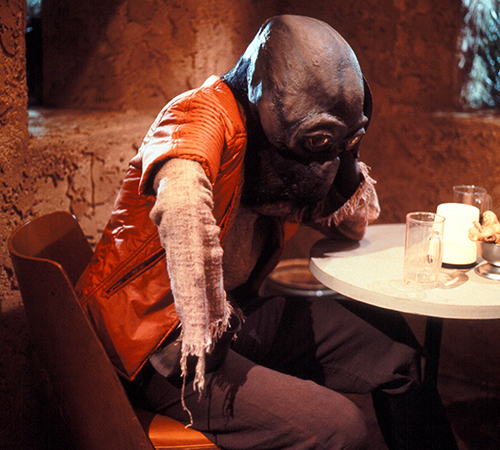 Details: This alien sure looks a lot like the Aqualish Ponda Baba, whose arm was cut off by Ben Kenobi in the cantina in A New Hope. 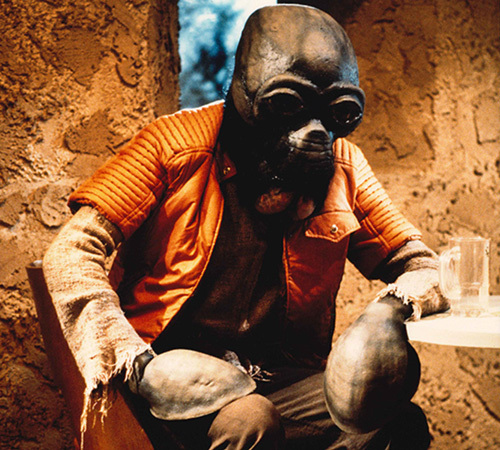 Whether he is Ponda Baba or not is not known, but if he is then apparently he was able to get his arm reattached and had to cut his other jacket sleeve off short to match.